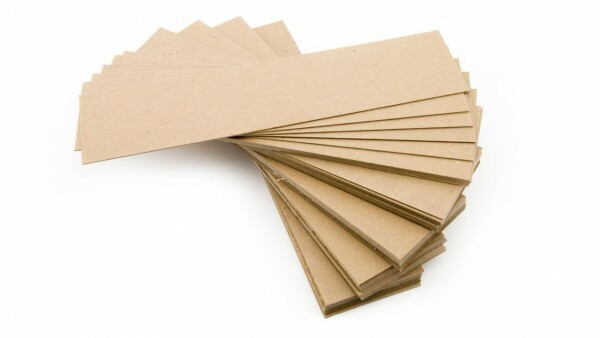 Produktinformationen "Chipboard Sheets 50 Pack"
Chipboard is a great material used to make simple wind turbine blades. It is stiff, easy to cut, lightweight, low cost and recyclable. Each package comes with 50 chipboard sheets that are 3 in by 12 in. Each sheet is approximately 1.5 mm thick, so they will stay stiff in a light wind but bend in a strong one. Chipboard has replaced coroplast blade material. Coroplast is no longer sold by KidWind or Vernier since it is not able to be recycled in many communities. Weiterführende Links zu "Chipboard Sheets 50 Pack"
Garantie(Jahre) "Chipboard Sheets 50 Pack"
Weitere Info "Chipboard Sheets 50 Pack"
Kundenbewertungen für "Chipboard Sheets 50 Pack"